When the US military researched ways to lower the amount of soldiers being blinded in combat, the solution was not what many had expected. They found it difficult to understand why, when soldiers were already provided with adequate protection goggles, there were still a high number of eye-related injuries. It turned out the problem was obvious: the goggles made them look - in their words - "like grannies". Soldiers were issued with some new, cooler goggles created by designer Wiley X. Now they wear them all the time - even when they don't need to. As a result, there has been a tremendous drop in the numbers of soldiers blinded in battle. It's just one example which symbolises the philosophy of Dr Atul Gawande, associate professor at Harvard Medical School. Dr Gawande - who is also a writer for New Yorker magazine, and author of the best-selling medical books Complications and Better - believes that the biggest challenge in medicine isn't discovery, but implementation. His newest book, The Checklist Manifesto, looks to explain how simply applying well-known knowledge efficiently can make the biggest change when trying to save lives. 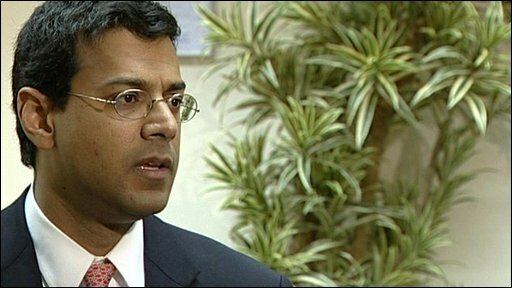 Dr Gawande spoke to Claudia Hammond on BBC World Service's Health Check programme about his work. "For the longest time our biggest struggle was ignorance. It was knowing what do we possibly do about illness - how do we understand it? "But now we've accumulated 6,000 drugs and 4,000 different kinds of medical and surgical procedures. When people get a chance to say their name out loud, it actually changes the likelihood that they will speak up later when they have a problem or have any doubts. "What we're actually learning is that equally hard is the deployment of treatment." This approach was seen to full effect when Dr Gawande was in India to witness the monumental effort to vaccinate four million children in just three days. It was the first case of the disease in over two years, which kicked off when a family travelled down from the north. The scale of the response was barely imaginable. Every child within a 50,000 mile radius had to receive the vaccine. "On the one level," Dr Gawande says. "You think solving the polio problem is about just making sure people get an injection. How hard can that be?" "So we've invested all of our effort in the early part of the last century in discovering the solution - but not in thinking about how do you actually deploy it." Seeing the vaccination programme take off was like watching an army get into gear, Dr Gawande remembers. "You think it is impossible. They had to go door-to-door." The teams used the knowledge of local physicians who had studied the area to assess logistical challenges - such as making sure ice could be transported with the vaccines to keep them at the correct temperature. 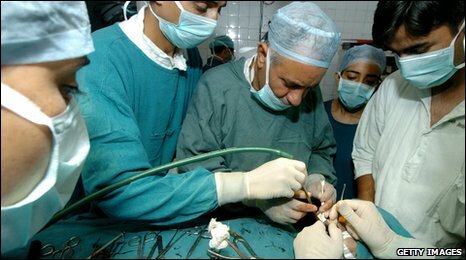 Dr Gawande expertise was put to use when the WHO aimed to cut deaths from surgery around the world. There are now, Dr Gawande noted, more operations worldwide than there are child deliveries - but the death rates are much higher. Taking inspiration from the checklist used by pilots before they take off, Dr Gawande worked on producing a checklist for safer surgery. "There were basic things that if we were much more consistent about it could actually save lives. "There are steps like 'make sure an antibiotic is given, make sure blood is available for a risky case', but then there are also components that had to do with having a team of people that could execute well." Indeed, many of the key points in the checklist are more personal than medical, such as spending time before an operating team to allow each member of a team to speak up and introduce themselves. "There's tremendous hierarchy in an operating room, and when people get a chance to say their name out loud, it actually changes the likelihood that they will speak up later when they have a problem or have any doubts." The checklist has been used in eight countries, including hospitals in Jordan, the Philippines and Tanzania and India. In the UK, research by the National Patient Safety Agency released last year showed that using the checklist can cut surgery-related death by up to 40% - and there are plans to make the checklist compulsory in hospitals in England and Wales by February 2010. Dr Sudhir Joseph is the director of St. Stephen's Hospital in Delhi - where the checklist is now being used. "Quite frankly, when I heard about this, I was wondering as to the true efficacy of this, whether it was just too basic a tool," he told the BBC's Nivedita Pathak. "At the same time, however, I was a little concerned because we did not have a proper comprehensive checklist for people coming in." The checklist has seen the hospital introduce a tagging scheme to prevent operating on the 'wrong side' - that is the mistake of, for example, operating on a right foot when the issue is with the left. Dr Joseph says time will tell if the checklist has any long term benefits for hospitals like St Stephen's. As the checklist filters through health care systems across the world, Dr Gawande looks to an instance in India, during the vaccination efforts, to remind him of the bigger picture. "When we walked through one village a mother came out who had a child. "One of the local physicians then started screaming at the mother, 'How can you not take this vaccine?'." "And then the WHO doctor came back and he started yelling in anger. Not at the mother - at the local doctor. "Saying, 'you are endangering our entire programme here. If we force them to take the polio vaccine we'll spread the word that it's being forced upon the community and the whole effort will die. One person may slip through - but if we get this community, that's what we've solved.'"